Please come and support us! Remember to bring any school supplies or books to get in for P50 instead of P100. Let’s help the Kids Foundation! I’m bringing old books too! See you there! 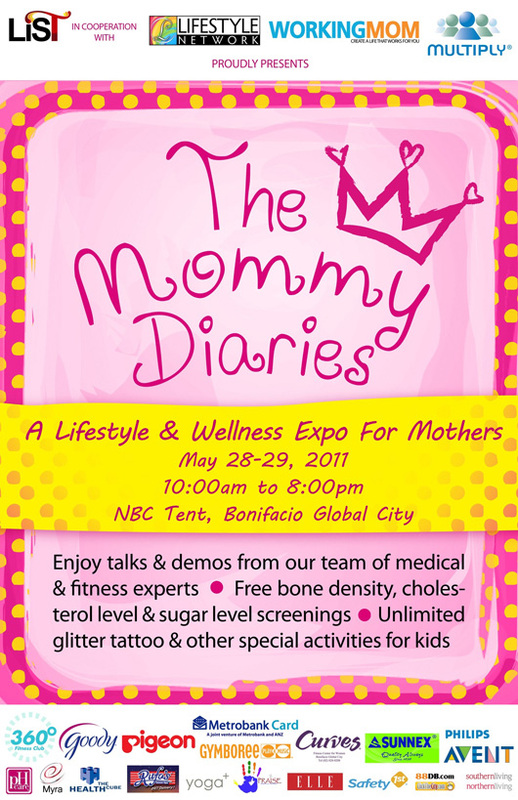 After you get your fashion fix from the Bloggers United event, please drop by The Mommy Diaries on May 28-29 too! It’s a lifestyle and wellness expo for mothers organized by my cousin’s awesome group, LiST. More than 100 booths featuring apparel, accessories, personal care products, houseware items, children’s items, baby products and food items will be there. They’ve also prepared a lot of exciting activities and programs for not just the mommies, but for the kids too! Check out the poster below for more details or visit their Facebook page.